Warning: Spoilers for Captain America: Civil War are in play. Bookmark this page, and come back after you've seen the movie, if you don't want to be spoiled. 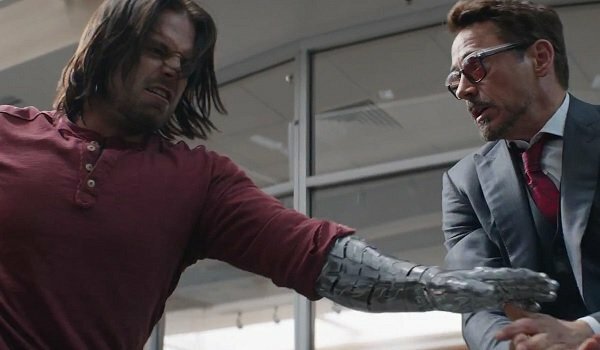 In Captain America: Civil War, we learned that not only was Bucky kept in cryostasis between the dirty deeds HYDRA would wake him up to commit, but he also went through a rigorous mental conditioning to keep himself sharp. We saw the electromagnetic shock portion in Captain America: The Winter Soldier, but what we didn’t see was the fact that much like The Manchurian Candidate, Bucky was conditioned to respond to a special trigger that primed him to accept orders. In this case, the trigger was a series of 10 random words. But were they as random as we think? Keep in mind, there’s still a chance that all, if not most, of these words are just interesting sounding words that are innocuous enough on their own that they wouldn’t raise suspicion. That said, we still feel breaking the list down word by word is the best way to find out if maybe this string of command words leads to some sort of deeper understanding into the psyche of Sgt. James Buchanan "Bucky" Barnes. Going on pure symbolic grounds, "Longing" could represent the memories that Bucky tends to pick up on from his past life, right before he’s electro-shocked into his Winter Soldier state. We saw more of this in Captain America: The Winter Soldier, as Bucky was starting to remember the accident that lead to his capture by HYDRA, as well as Dr. Arnim Zola’s implantation of Barnes’ juiced up metal prosthetic arm. It’s this longing that needs to be crushed, and by the end of the process, that’s exactly what happens. "Rusted" means absolutely nothing, unless we’re thinking about Bucky’s bi-monthly maintenance regimen which keeps his arm nice and strong. However, going by the first command word, this could be a further symbolic gesture that signifies a sort of corruptive countdown that puts Bucky out of commission, and awakens the Winter Soldier within. Also, "rusted" is exactly the sort of adjective that Col. Helmut Zemo would use for the empire that he’s trying to topple, but considering these commands predate Zemo’s vengeance, this is merely an example of kismet. 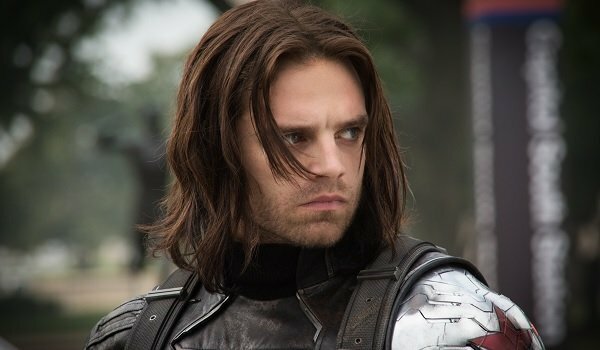 "Seventeen" is a nice little double edged sword, as it looks ahead to the year of release for a certain Marvel movie that’s mentioned later on in the list, but it also has a deeper connection to Bucky Barnes’ past. Depending on what source you’re going by, 1917 is the year that Bucky was born – which could also be tied into the exchange between Bucky and Steve before they walk into the Siberian stronghold. Both men acknowledge that, technically, they’re 100 years old – though in both of their cases, it’s more of an approximation, as Bucky was born in 1917, and Steve was born in 1918 according to Captain America: The Winter Soldier. This trigger word doesn’t really have a huge significance to Bucky, but it does seem to speak to the events of Captain America: Civil War, both in and outside of its cinematic universe. Symbolically, a new day is dawning with the Sokovia Accords policing the activities of Avengers and other super-powered heroes, so this fits in that respect. However, when you take into account that this film is the first one in Phase 3’s line-up, one could say that daybreak has also come for the latest round of Marvel Cinematic Universe films, with this new phase getting off to a roaring start. Furnaces tend to be thought of as warm, even fiery objects – which would come in handy with a person who’s being dethawed from deep cryo-sleep. While Bucky is being activated during the Siberian prologue in Captain America: Civil War, he’s still warming up to the world around him, which could mean that "furnace" is included as a command to encourage the "warming up" phase of Bucky’s awakening. Your guess is as good as ours as to what "nine" means. There’s no real application that we can think of when it comes to that particular number, except that there’s ten Avengers in play during Captain America: Civil War. Symbolically, this could be a clever nod to the original notion that most fans speculated the death of Captain America would occur at the end of the film. Or it could be the number nine, and mean absolutely nothing. Again, this one’s a bit of a straw grasp. The most ironic inclusion in the list of trigger words designed to set Bucky off has to be that of the word, "benign." Typically, the word is associated with harmless, kind traits that a hardened assassin wouldn’t possess. Though considering the order this command is issued in, it could be the "clean slate" command that would start the final phase of conditioning in Mr. Barnes’ mind. Benign could resemble the state of mind that begins to prime Bucky for the final phase of his transformation. You know exactly what you thought when you saw the word "Homecoming" on the screen during Captain America: Civil War. You were thinking, "That can’t be a coincidence. That’s the title of the next Spider-Man movie!" Well, you’re right in that respect, but as it relates to Bucky’s activation, it could be symbolic of the fact that he’s "coming home" so to speak whenever he’s woken up. Not to mention, when Zemo first starts talking after Berlin’s power grid is knocked out, he designates the code book containing the words as Bucky’s "real home." There are two ways this command could be interpreted. The first assumes that this could be a reference to the fact that, just like his comic incarnation, Bucky has been in Captain America’s history since square one. Bucky made his debut in Captain America Comics #1 back in 1941, as well as in Captain America: The First Avenger in 2011, so their near synchronized fates could be the significance behind this word. However, "One" could simply mean that whenever Bucky was activated, it’s usually one goal / mission he’s being activated for, before going back into the freezer. Finally, we come to the end of the line, and with a command word that seems like it’s a blatant reference to Captain America history. 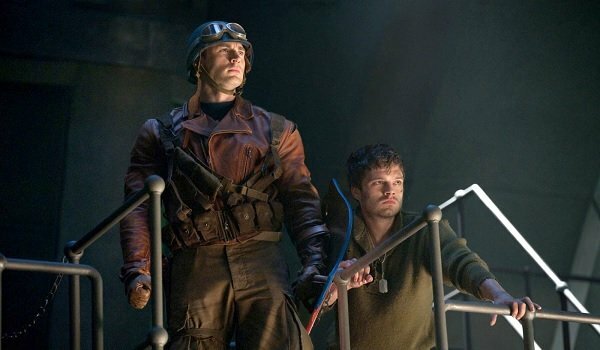 In Captain America: The First Avenger, Bucky "disappears" after falling off of a train during a counter-HYDRA operation. We even see Bucky flashback to this event during one of his conditioning sessions in Captain America: The Winter Soldier. Naturally, it was a freight car that he fell off of, and thus it could be assumed that the trauma from the event is the trigger that snaps every other command into place – turning Bucky into the Winter Soldier. Overall, it seems like the Russian trigger words that awaken the Winter Soldier persona in Bucky don’t seem to have a huge, cohesive arc between all 10 entries. However, some words do have more meaning than others, which could just be a way of showing how incognito the code actually is. In fact, we’re kind of surprised that Zemo didn’t try to just weave those words into an innocuous form of dialogue, thus triggering Bucky and covering his tracks by looking more like an innocent by-stander. But then again, we’re to assume that those words specifically need to be used independent of any conversation, as we’re not presented with any other option. So Zemo’s hand was really forced. In either respect, it’s a bit of a stretch to think that all of these words are anything more than a clever sequence of words that Captain America: Civil War has immortalized as the words that could still turn mild-mannered Bucky Barnes into a ruthless killing machine. While symbolism seems to run strong if you look at it a certain way, there isn’t a clear narrative present in this series of triggers. Though if you have theories of your own that make more sense of this list of words, feel free to speculate in the Comments, Soldier. Do You Think Bucky's Trigger Words Have A Specific Meaning?